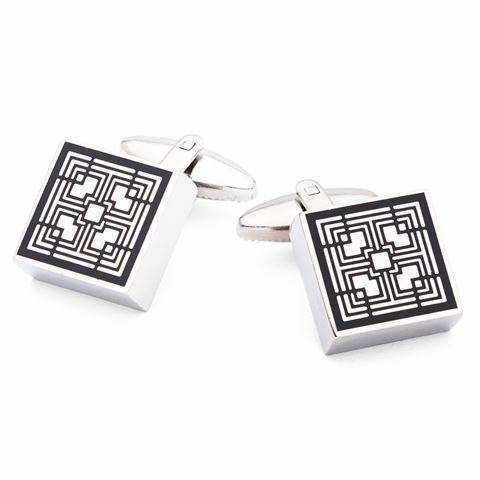 Acme Studios’ cufflinks are distinguished and classy, adorned in artworks by some of the world’s greatest graphic designers, architects and artists. Cast in zinc alloy and coloured with enamel, each cuff fixes in to place with snap-turn bar fitting. Artwork is based on architectural designs by Frank Lloyd Wright. Zinc alloy cast, with coloured enamel detailing. Presented in an Acme Studios gift box. Face Dimensions: 1.5cm x 1.5cm.